Located on the south shore of Montréal, PGN Stables was founded in October of 2003 when Mr Gérald Naud, along with his daughter Gabrielle and her husband Eric Dufresne, saw the potential this piece of land had to offer and decided to buy it to realize a long awaited dream. 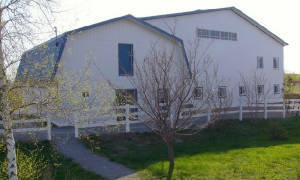 The stable, built in 2001, has been modified and expanded in 2004 to accommodate up to 14 horses with an adjoining 60’ X 115’ arena. 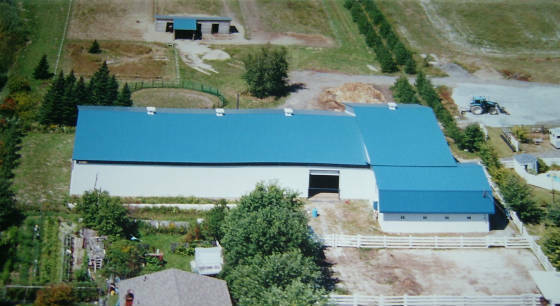 Pastures have been set up for the broodmares and foals to spend summers on fresh grass and, late in 2007, a 150' X 300' outdoor riding ring has been put in. Gérald takes care of the financial department and owns most of the horses while Gabrielle and Eric manage the sales and breeding departments. From cutting to reining, western pleasure to barrel racing, you will find a large variety of disciplines, colors, conformations and bloodlines in our horses, past and present. These bloodlines have been carefully researched and selected for each mare to produce winning offspring every time. Écuries PGN Stables proudly breeds quality Quarter Horses. As you can guess, we chose quality over quantity ! Photo credit : Aero-Cam Inc.